The former Director of Education for Europe’s largest independent school provider, Cognita, is the new Dean of Education at the University of Buckingham. 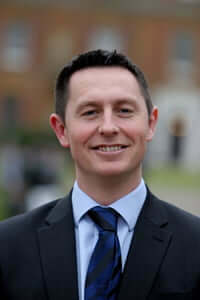 Geraint Jones’ previous role was to oversee the quality of educational provision in some 50 schools in the UK and abroad. Prior to taking up the role with Cognita, Geraint was the country’s youngest senior independent school Headmaster and led Quinton House School in Northamptonshire to twice becoming the top performing school in the county for GCSE results. An Ofsted-accredited school inspector, Geraint has also worked in the state maintained sector as Vice-Principal of a large comprehensive school in Wiltshire and has held Head of Department and Modern Foreign Languages teaching positions in similar schools. In 2002 Geraint founded the acclaimed ‘Wake and Shake’ programme, an internationally-recognised programme of physical education for pupils, now practised in over 3,000 schools across the world. Geraint has also led school improvement initiatives in the UK and abroad, most notably with Ministries of Education in Singapore and Abu Dhabi. The University’s Department of Education runs five postgraduate courses – an Independent PGCE, a Primary PGCE with Teachers’ Standards, a Secondary PGCE with Teachers’ Standards, a Postgraduate Certificate in Middle Leadership and an MEd in Educational Leadership. The IPGCE is thought to be the only one in the country and it was set up in conjuction with HMC (the Headmasters’ and Headmistresses’ Conference).